Another Professor Layton - how I love puzzle games! Journey - how I love this game! 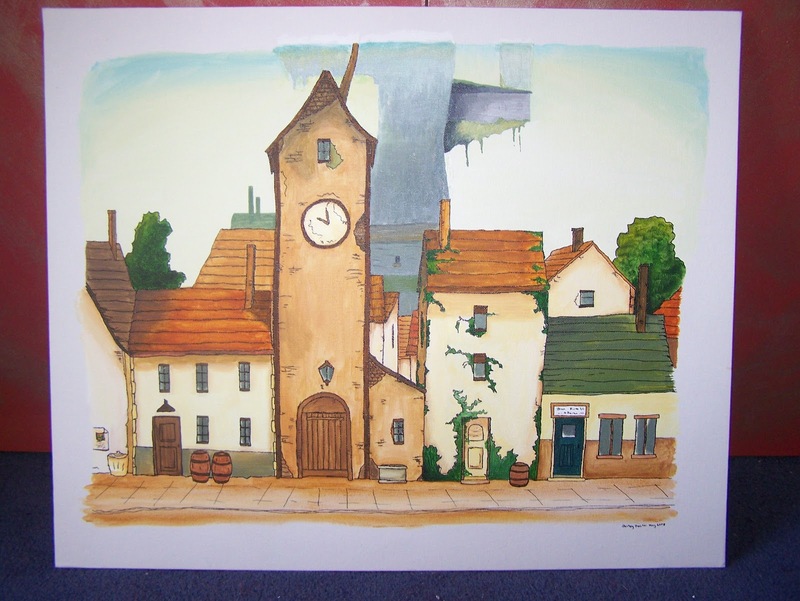 This one sold for $2000 last December, and resulted in my painting another one for the person who was out-bidded, again for Child's Play. This was originally a commission for someone who decided to a) not pay me and b) ignore all my attempts to contact him, so I decided to give it to Child's Play to auction. His loss, childrens gain! 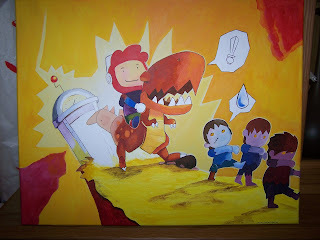 Jonathon Blow, the creator of Braid gave me permission to paint this for Child's Play charity - the charity that buys games consoles and games for children's wards and hospitals all over the world. 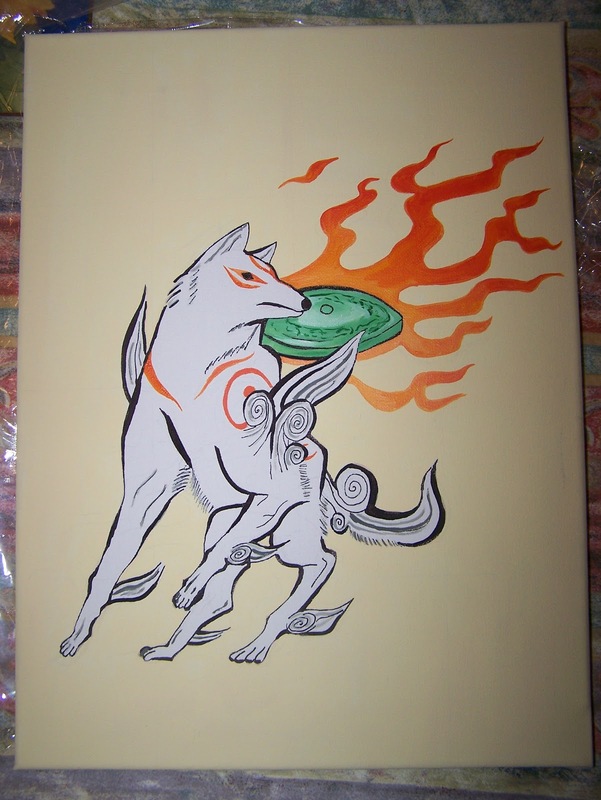 It sold at their auction for $1000. 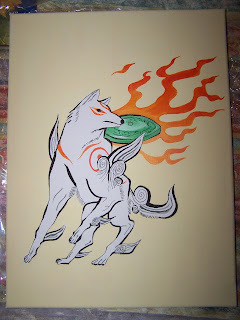 This painting of the wolf from Okami, I think it sold for $400. 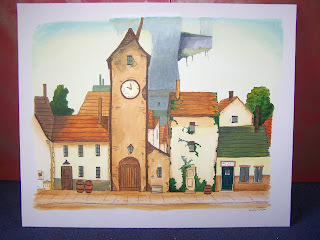 Professor Layton and the Curious Village - a great puzzle game, and a joy to paint. 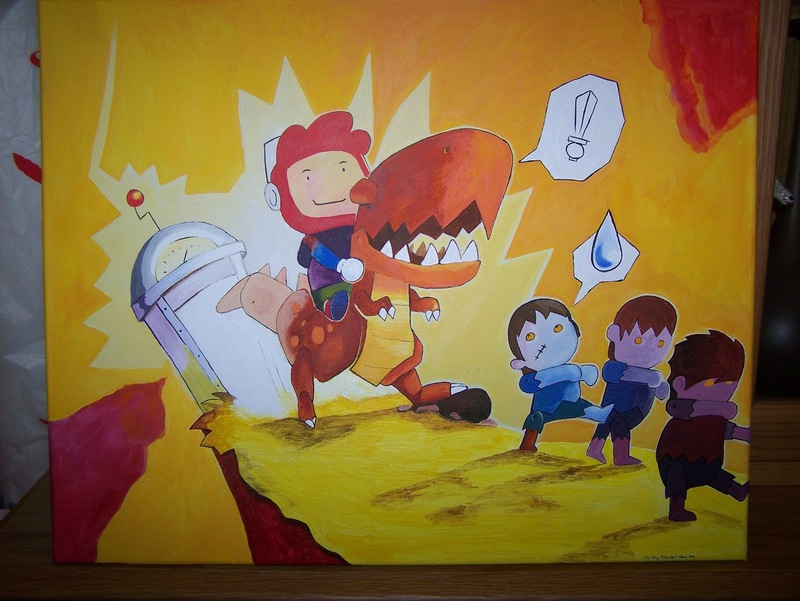 This image from Scribblenauts - Post 217 - sold at the Child's Play auction, for $700. 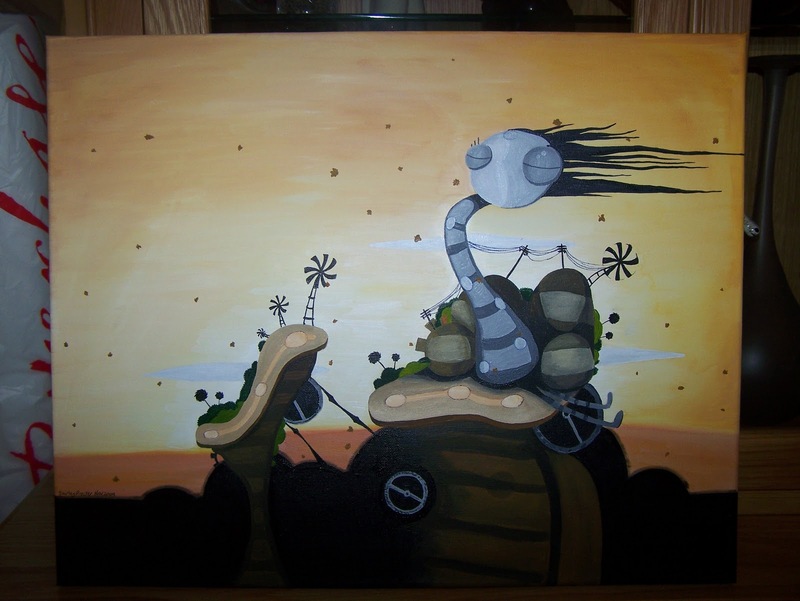 This World of Goo image sold at the Child's Play auction for $450. 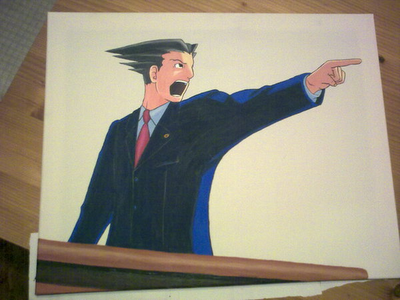 I did this painting of Phoenix Wright: Ace Attorney for Child's Play last year, but forgot to tell Kristen about it, so it wasn't on the auction list; they will be auctioning it this December. 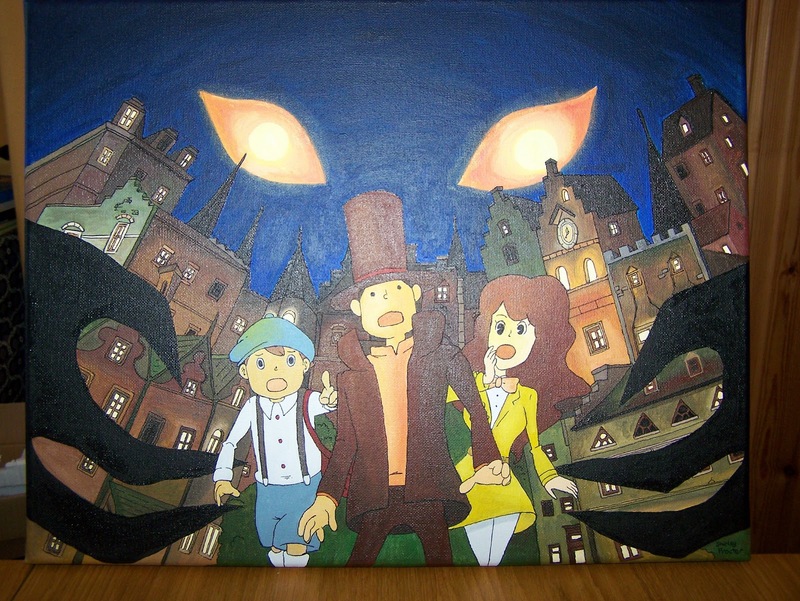 Here's another Professor Layton, for the next Child's Play auction in December this year, in Seattle. I finished it last night, all I have to do now is sign it, wrap it and then post it off to Kristen at Child's play. Here's the finished Limbo - I offered an A4 sized painting in an online auction, the winning bidder paid $125 for a screen shot from Limbo - a beautiful, somewhat dark game. I'll be sending it off to the winning bidder on Monday, carefully wrapped, of course. 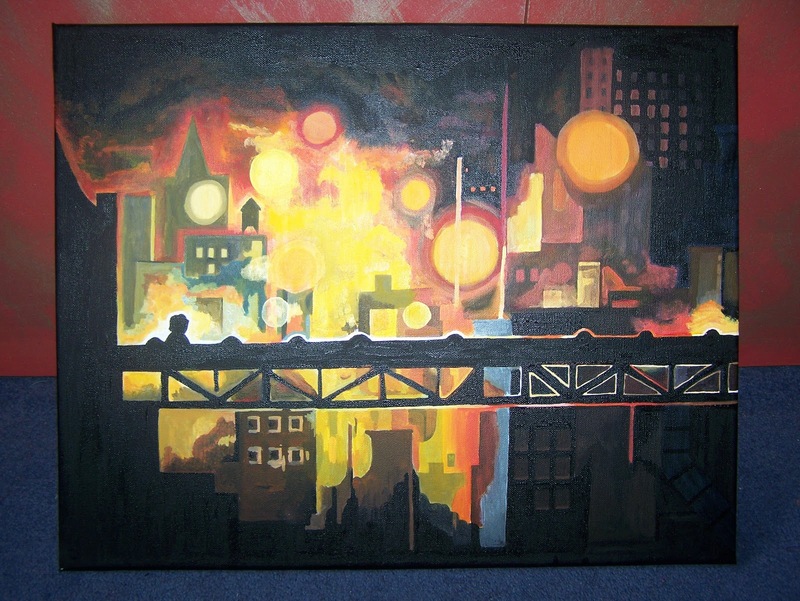 I've done a larger, 40x50 cm canvas of the same screenshot, for the Child's Play charity dinner next week in Seattle, where they have a silent auction. Hopefully, it will raise lots! I met the developer of the game at a convention earlier this year - he's lovely - and we chatted for a while about the beautiful artwork in the game. I played it for a while, and really enjoyed it. I've just heard from Kristen, at Child's Play, and the Professor Layton painting sold for just under $700; the Limbo painting sold for just over $300! I'm thrilled, thats another $1,000 for Child's Play!